Today time management is a very tough job. In today's world, every minute is very precious. 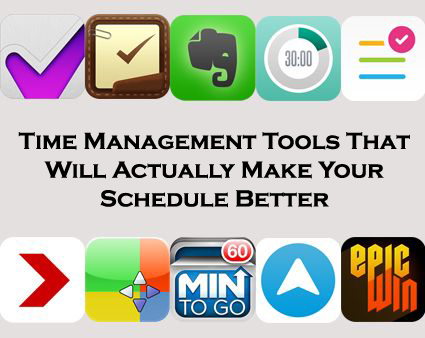 So, if you are a technological friendly person so there are many time management tools & apps that will help you in the management of your time. You can download these tools on your mobile and make the best use of your time. These tools are very beneficial for students also. If you are finding difficulty in operating other 2-Do apps so 2Do is a simple app. Any.do helps you to achieve anything by syncing your personal tasks, work projects, and shared lists so that you have a clear path to move forward. It is very beneficial app. With the help of this app, you can keep your track of reminders, to-do list, notes, and events. After finishing every task you will get XP. More XP will give you better in - app characters. So, collect as much as XP for the better experience. Focus Booster will keep your track of where your time goes. Synchronization makes time sheets fun, and much more. Prezi is a versatile app that helps you to make professional-looking presentations. It's just like a free, pared-down version of Powerpoint. This will help you make presentations anywhere and can share with other devices too.